Shine Lawyers is investigating claims from a Victorian family who allege that their child with a disability was not supervised on a Crown bus when travelling to and from school. The parents sent their child off to school with a smart phone for emergency use. When he returned in the afternoon they found a video recording on his phone of another child sexually assaulting their son on the bus. They came forward after seeing a story in the media about a child from the same special needs school being left on a Crown Coach bus in 31C heat for the entire day. This is not the first time this has occurred. Earlier this year another child with a disability was left behind on the bus for five hours. Only found when the driver and disability carer returned to the bus to do the afternoon run. Crown Coaches has been operating the special school bus service for 45 years and is the largest special school bus operator in the state. More families may come forward with claims of negligence. 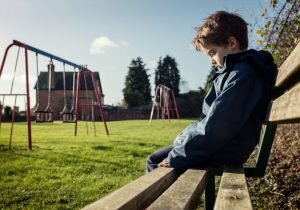 Shine Lawyers National Abuse Practice Leader, Lisa Flynn believes the issue is widespread and parents should have peace of mind when they send their children off to school. According to the Crown Coaches recruitment website, a disability carer is not required to hold a Certificate in Disability. Shine Lawyers’ team of abuse claim experts can act on your behalf to help you access compensation for the injuries you have suffered. Our team will do all they can to make sure the compensation process is as simple as possible and they will strive to recover the full amount of compensation for which you are entitled. Written by Shine Lawyers on December 19, 2016. Last modified: September 6, 2018.